We have seen it time and time again. A customer comes in with a used Harley Davidson that was purchased on impulse and with complete lack of research. Their buddy went with them to look at the bike. He believes he is a used Harley Davidson master ever since he installed his own handlebars, even though he now rides around with a sandwich bag of 15 amp fuses. He was no help! 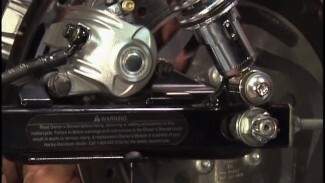 Now, the used Harley Davidson owner is crushed when he receives a huge estimate just to make the bike safe & road worthy when he only brought it to the shop for a handlebar swap! This used Harley Davidson buyer’s guide video is an excellent resource for anyone looking into a used motorcycle. If you will not be able to have a reputable mechanic inspect the bike first; review this video once or twice and take some notes. You can even walk around the bike while you play this video on your smartphone! Sounds funny, but it’s not when it comes to your money and your safety. You found the year and model used Harley Davidson you were looking for and it is in one of the 3 colors that are acceptable to you. That’s a good start, but now you need to do as much research and inspection as possible. Before even leaving the house, look online to get an idea of the bike’s fair market value. Kelly Blue Book or NADA are best for this. If a membership is required, swing by a local bike shop or general service garage and ask. We all like to personalize our Harleys. Remember, upgrades do not always increase the value of a motorcycle. Sometimes customizations or add ons can actually decrease the value. Especially if the components are cheap, installed incorrectly, outdated, or are just plain ugly. Remember, the various flame/skull/eagle spirit accents that adorn a bike may have taken a lot of time & money to add. That may look amazing to some but other opinions/ideas like maybe even returning a bike back to stock would have a better resale. 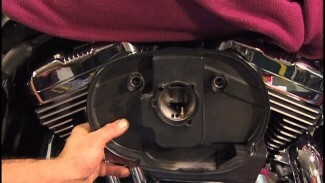 Make sure to view Fix My Hog videos to better understand every topic Tommy brings up in this used Harley Davidson buyer’s guide.